How many times have we heard our parents mutter- “Don’t waste food, you’re disrespecting the Gods”. The food we consume not only serves to tantalize our taste buds and fill our stomach but provides us with the nutrition for growth and development. That alone should render it important and be treated with respect. But like everything in Hindu Dharma, the food we consume also has a goddess who ensures the nutrition we get – Goddess Annapurna. Annapurna is said to be the incarnation of the Hindu goddess Parvati, who is one of the numerous forms of Shakti and wife of Shiva. Anna means “food” in Sanskrit and purna means “filled completely”. Annapurna is the Goddess of the Kitchen and of Cooks. Her statutes are often found in Hindu kitchens for her blessings. It is believed in India and Nepal when food is cooked with the spirit of holiness it becomes alchemy. Annapurna blesses the food and converts it to Amrita which is the Sanskrit word for delicious and healthy food which gives immortality. People often call upon Annapurna to bless your food and food preparation kitchen. There is a rather interesting story regarding the due importance and credit she was given. It is said that once Goddess Parvati was told by her consort Shiva that the world is an illusion and that food is a part of this illusion called Maya, while playing a game of dice in which he unfairly won. The Divine goddess who was worshiped as the manifestation of all material things, including food, became angry. To demonstrate the importance of her manifestation of all that is material she disappeared from the world. Her disappearance brought time to a standstill and the earth became barren. There was no food to be found anywhere and all the beings suffered from the pangs of hunger. But as a mother, she couldn’t bear all the suffering, and thus mother Parvati was filled with compassion and reappeared in Kasi and set up a Kitchen. 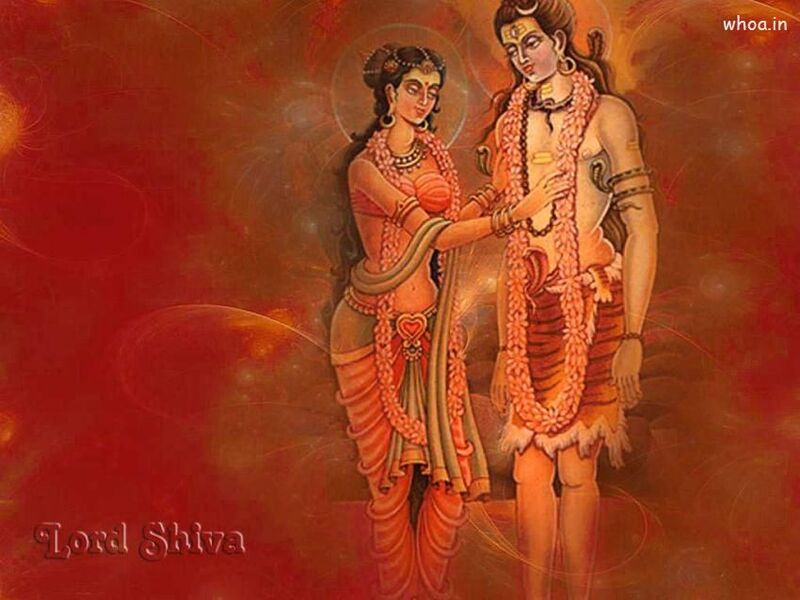 Hearing about her return, Shiva ran to her and presented his bowl in alms saying, ‘Now I realize that the material world, like the spirit, cannot be dismissed as an illusion.’ Parvati smiled and fed Shiva with her own hands. It is believed that Mount Annapurna in the Himalayas is named after the deity as she is believed to be one of the daughters of Himavat, the king of the mountains. Akshaya Tritiya is considered the birth date of Annapurna and is believed to be very auspicious for buying gold jewelry. The Agamas (collection of scriptures of several Hindu devotional schools) describe the iconography of Annapurna as a youthful goddess having a red complexion with a face round like full moon, three eyes, high breasts and four hands. The lower left hand is depicted holding a vessel full of delicious porridge and the right with golden ladle adorned with various kinds of jewels. The other two hands depict Abhaya and Vrata pose. Annapurna is described as holding a golden ladle adorned with various kinds of jewels in her right hand and a vessel full of delicious porridge in her left. She is seated on a throne. In some depictions, Lord Shiva is shown standing to her right with a begging bowl, begging her for alms. She is often represented with a scripture, akshamala, and opener of doors of Moksha in her hands in place of vessel and ladle, indicating his prayer to Annapurna being spiritual perfection rather than food. Viśālākshī (Sanskrit: विशालाक्षी) – she who has large eyes. Viśvaśakti (Sanskrit: विश्वशक्ति) – she who has world power. Viśvamātā (Sanskrit: विश्वमाता) – She who is the mother of the world. Sṛṣtihetukāvaradānī (Sanskrit: सृष्टिहेतुकावरदानी) – She who is boon granter for the sake of the world. Bhuvaneśvarī (Sanskrit: भुवनेश्वरी) – Goddess of Earth. Annadā (Sanskrit: अन्नदा) – Donor of food. According to Hindu scripts, Devi Annapurna is worshipped as the deity of nourishment. She is acknowledged as the giver of food. People worship her every year to bring happiness and fulfillment in their lives with her blessings. According to the Hindu stories, the barn of Annapurna is never empty. She is the Devi of sustenance in our life. She makes our life perfect, absolute and fulfilled. She removes poverty, a crisis from our society and gives us the most important thing that is food. Hence, by worshipping her we can lead a happy and healthy life. Annapurna puja is performed at the beginning of summer season. This puja is performed in Shukla Paksha of Chaitra maas (April month). As per the English calendar, the Chaitra Maas comes in the April month. It is performed for five days just like the Durga puja. People make the living embodiment of the incarnation of Devi Parvati. In some places, the devotees also arrange Puja mandap for celebration this occasion. The most important part of this puja is the recitation of the mantras of Annapurna Devi in the proper way with the proper mantras, flowers, different fruits and especially with food grains the puja is performed. During these five days, the Goddess is worshipped with fresh fruits, food grains, and rice. Women who take participate in this puja perform a day long fast and they do not eat food until the Puja is completed. The Sri Annapurna Ashtakam composed by Shankaracharya is devoted to this goddess of Hindu religion. Mother Annapurna, You who are Eternally Complete, You, The very life of Lord Shiva, Give me food (in alms) So I can sustain my body To achieve the Supreme Knowledge. Annapurna is the Goddess of the city of Kashi (now known as Varanasi, U.P., India). Kasi is also known as the City of Light. Ka means the cause, a means the manifestation of consciousness, sa means peace and I are the causal body. Kasi is also the place which causes consciousness to manifest the highest peace of the causal body. And she is the Supreme Goddess of the City of Kasi. Goddess Annapoorna Devi (Bhavani Devi) is also the Supreme Goddess of the city of Kasi (now known as Varanasi), the city where moksha (freedom from the cycle of birth and rebirth) could be attained. She is also referred to as ‘the Queen of Varanasi’. The Birthday of this Goddess is observed as Annapurna Jayanti. This day falls on Margashirsha Purnima, the full moon day which falls in the month of Margashir. Adjacent to the Sanctum of the Goddess is the Kasi Viswanath temple. The two are separated by only a few yards. Annapurna is regarded as the queen of Varanasi alongside her husband Vishweshwar (Shiva), the King of Varanasi. But Lord Shiva wanted to teach sage Vyas a lesson so he banished the sage from Kashi. Permitting him to visit only on the eighth and fourteenth day of the fortnight, which are days reserved for the worship of the Goddess and Shiva. In order to be near at hand, Vyasa took up residence on the other side of river Ganges, where his temple may still be seen at Ramnagar. The Annapoorneshwari Temple is located at Horanadu India 100 km from Chikmagalur in the thick forests and valleys of the Western Ghats of Karnataka. Also called “Sri Kshethra Horanadu”, it is situated on the banks of river Bhadra in a remote corner of Chikkamagaluru district of Karnataka. This ancient Hindu temple of Goddess Annapoorneshwari has been restored and renamed as the Adi-Shaktyatmaka Shree Annapoorneshwari. The single image is of the Goddess Annapoorneshwari standing on a peeta with Shanku, Chakra, Sri Chakra and Devi Gayathri in her four hands. The name Annapoorneshwari means “Feeding one and all”. All who visit this temple are provided with breakfast, lunch, and dinner and also tea and coffee who need. And provide a place to sleep on the temple premises. 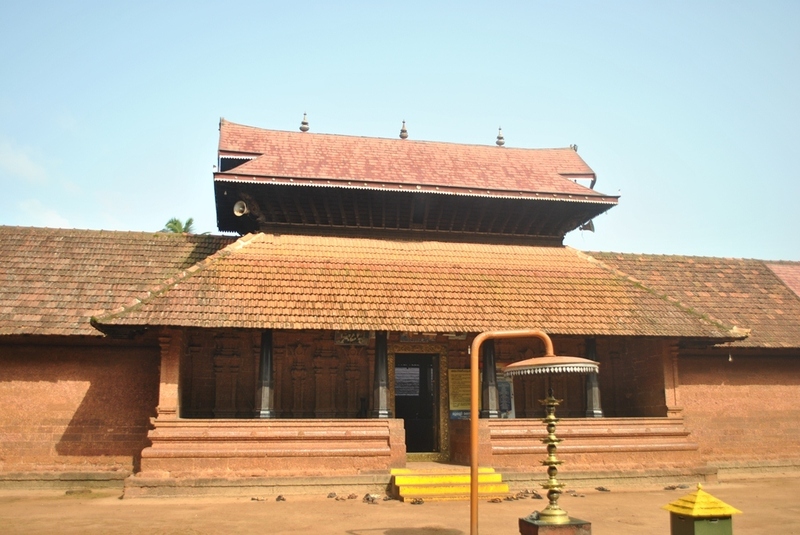 Annapurneshwari Temple is a famous Parvati temple situated in Kannur, Kerala. The deity is worshipped as Annapurneshwari- the mother who makes all hunger disappear.At this temple, Goddess Shri Annapurneswari is shown along with Shri Krishna. It is believed that Shri Annapurneswari has visited the shrine which was under the sea, centuries ago. The local folklore says Annapurneshwari Devi came from Kashi with two other Devis- Sree Chamundeswari amma (Kalarivathukkal Bhagavathy) and Tiruvarkadu Bhagavathy and a boatman in a golden ship. She got down at Azhi Theeram which is now known as Aazhiteeramthangi. She asked the boat man to stay back, so that he could take her back to Kashi when she wanted, due to which the boat man stayed back and built a mosque which is now famous as the Olliangera Juma Masjid. Because she is the Goddess of the Kitchen and Food, the Emerald is an excellent gemstone to use to honor her. It has the bright color of healthy plants and its legendary beauty brings nourishment to our souls.